Bet you thought I forgot I had a blog...ha! Well, I'm back...I just had to share this very simple and very inexpensive last minute Christmas Gift idea that will really WOW! It's a DIY Christmas ornament. So cute, huh? It's hard to tell from this picture, but they are super sparkly! 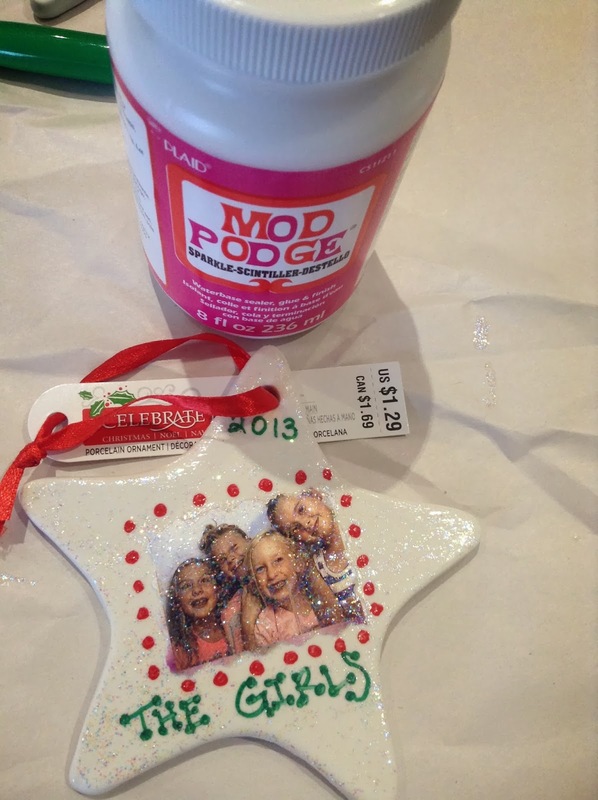 Simply open your MODGE PODGE, give it a quick stir and use the sponge paint brush to apply a light coat to the entire front side of the ornament. 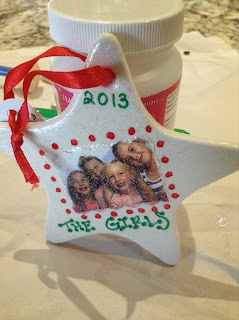 Next, grab your favorite photo, cut it out (I used fancy scissors to give my photo edges a little pizazz), use an extra dab of MODGE PODGE on the back of the picture and press it into the middle of the ornament. Let it dry for about 15 minutes. Next, grab your sharpie and write whatever you want. Be creative, but make sure to include the year (2013...for those of you with mommy brain). Then apply another quick layer of MODGE PODGE and let that dry for 15-20 minutes and voila...you have a super cute ornament to give as a last-minute gift or as a wonderful keepsake for yourself! I plan to make one every year...they really are so quick and easy and a great way to chronicle each Christmas! Oh yeah, I'm also doing this craft with my daughter's 1st grade class this Thursday for her Holiday Party...wish me luck!